Last night I joined the nerd-masses in flocking to the theatres to see the midnight showing of The Watchmen. As someone who had never read the graphic novel or even had a clue about the plot, I felt tragically out-numbered. Overall I enjoyed the flick, totally worth seeing, especially in IMAX. It succeeded in making me think, and that's minimally what I expect in a hero movie. I am tossing some ideas around in my head. It's one of those movies that says something profound about a myriad of different issues. 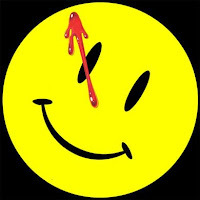 So, even if you're not a comic nerd, I recommend seeing the Watchmen. I, too, have never read the graphic novel. However, I found the visuals in this movie to be stunning. It was like a super-hero movie, but grown up.